In the age where convenient payment options are high on demand, it is vividly clear that Bitcoin shines the most. Bitcoin has certainly proven its ground through the years and is now considered to be the finest method for digital transactions. Businesses and merchants based online are the ones who benefit the most from Bitcoin payments. Considering that account hacks and frauds are now rampant within the cyberspace, the algorithm of Bitcoin is said to counter it all, given its decentralized nature and its user-protection design. Thus, startups and even established online companies are now starting to show interests toward this new innovation. Not to mention, they are now consistently revamping their current platforms to be able to accept Bitcoin payments. However, integrating Bitcoin as one of the payment options is a painstaking task. Firms, especially those who are not apt in the technology of cryptocurrency, certainly need the assistance of systems expert to do the job for them. 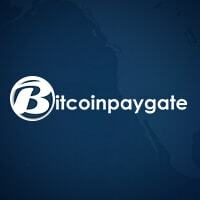 This is where Bitcoinpaygate enters the scene. 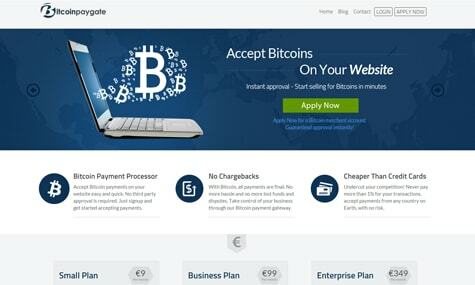 What captured the attention of the online financial landscape is the fact that despite being a new player in the industry, Bitcoinpaygate revolutionizes Bitcoin integration through its diversified plans. The Small Plan account is geared toward startup merchants who wish for an immediate head start in the industry. Applicants for this model can expect to receive payments on one business domain, with just a starting price of €9 per month. This plan also offers a competitive transaction fee of 2%, together with email support. The Business Plan is perfect for merchants who are steadily making its name in the industry and wish to expand their current payment options. Compared to the latter, this particular model enables its applicants to receive remittances on 10 business domains for just €99 a month. This plan transaction fee is also more customer-appealing since it only charges 1.5% per Bitcoin transaction. It also has an email support ready for backup. The Enterprise Plan amplifies the current success of established businesses. Although this model charges more with €349 a month, it is certainly the most lucrative of all. Unlike the other two plans, the Enterprise Plan supports an unlimited number of domains, which means users of this Bitcoinpaygate exclusive are now able to generate profit from any of their websites without restrictions. This model has the most inviting transaction charge at only 0.9%. In regard to customer service options, the Enterprise Plan also enables its consumers to avail custom installation with email and phone support now on board. Through this platform, aspiring online merchants are now able to customize their own Bitcoin-powered payment options according to their capabilities and preferences. Other than providing customers with complete liberty, Bitcoinpaygate also serves as a bridge that covers the gap between layman merchants and consumers and Bitcoin since its structure is designed to particularly eliminate the so-called intimating demeanor of Bitcoin payments.